Over the last two years, approximately 300,000 Burundian refugees have fled their country, seeking asylum in northwestern Tanzania, where three refugee camps (Nduta, Nyaragusu, and Mtendeli) are operating in Kigoma Region. According to the UNHCR’s 2016 statistics for Nduta Refugee Camp, only 7% of girls of secondary school age are actually enrolled in school. Conditions in these camps are unsanitary and overcrowded. Food rations have recently been cut, and existing school facilities are poorly equipped and understaffed. This has led to low school enrolment, particularly for the most vulnerable refugees such as young mothers, and girls at high risk of sexual and gender-based violence (SGBV), early pregnancy or early marriage. Refugee girls have already suffered disruptions to their education. The longer they remain out of school, the greater the likelihood that they will not re-enrol, missing out on critical opportunities to improve their lives. The Encouraging Access to Education and Better Learning Environments (ENABLE) project aims to provide support to young mothers and girls at a critical time in their adolescence when they are at risk of abandoning their education, often before foundational literacy and numeracy skills can be secured. Education has also been shown to reduce the likelihood of forced marriage, early pregnancy and human trafficking, all of which are risks in refugee contexts. Improve the accessibility of quality educational programs for young mothers and girls at high-risk of SGBV, early pregnancy or marriage. Improve the life skills and self-confidence of young mothers and girls at high-risk of SGBV, early pregnancy or marriage. The project aims to hire young refugee teachers. These remedial teachers, supervised by Caritas, will deliver weekly classes on Saturdays, focusing on basic literacy and numeracy skills and other key elements within the Burundian curriculum. The aim of these classes is threefold: 1) to provide a safe space for vulnerable girls to learn; 2) to equip them with basic literacy and numeracy skills; and 3) to encourage them to re-enrol in formal education systems. Even if girls are not able to re-enrol in the formal system, there will still be clear benefits to participation in the remedial program, including psycho-social support, enhanced confidence, and improved literacy and numeracy. Targeted beneficiaries will attend classes on Saturdays for the duration of the school year, with some extra classes offered during school holiday periods. These efforts will be complimented with psycho-social counselling and facilitated peer counselling. build their self-confidence to achieve their aspirations and advocate for their rights. The project will support targeted vulnerable girls through an innovative remedial education model that combines academic support with peer support and life skills in girls-only safe spaces. Why a partnership with the World University Service of Canada? WUSC has been active in the education sector since 1957 and has worked in Tanzania since 2015. WUSC is recognized in Tanzania for strong project management expertise, and technical capacity in the areas of gender equality and youth engagement. 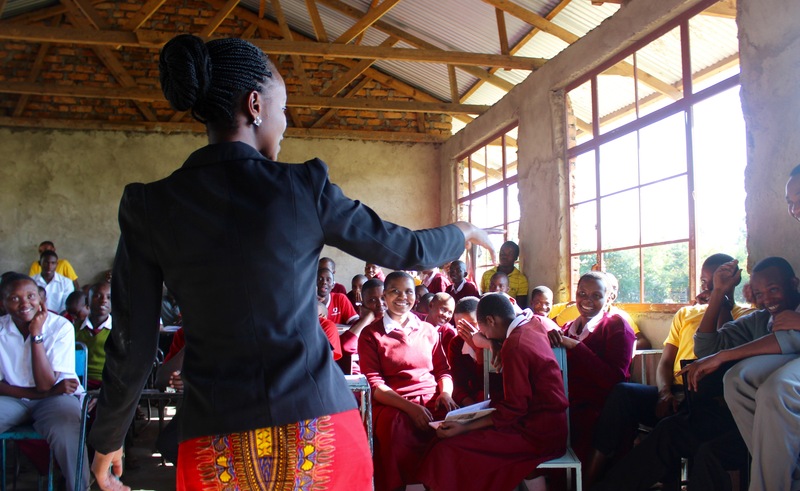 WUSC also has significant expertise in the education sector in Kenya, where it has implemented education initiatives supporting more than 20,000 girls. WUSC’s local partner, Caritas Kigoma, has almost 50 years of experience in the district with host communities, empowering them to improve their living conditions by promoting gender equality, education provision, and income generating activities. Since the Burundian refugee crisis began, Caritas has played an important role in delivering humanitarian assistance and supporting refugee education systems. 60 million girls and WUSC have partnered with great success in past girls’ education projects in the refugee camps of Dadaab and Kakuma in Kenya and Dzeleka in Malawi.